Coastal cleaning is one of the most effective ways for monitoring and understanding the phenomenon of marine pollution. It is apparent that organizations directly related to this action do not cooperate, nor do they meet to exchange ideas and knowledge upon the subject. For this reason, on Monday the 20th of November 2017, A.C Laskaridis Charitable Foundation held the first open event titled ‘Beyond Shore Cleaning’, inviting all related organizations. Maria Damanaki, Global Managing Director for Oceans of The Nature Conservancy, was the keynote speaker of the event. George Papatheodorou, a Professor at the University of Patras, discussed the history and the current situation of shore cleaning in our country; volunteering and the relationship between clean-ups and education at all levels as well as outside of school; the production of scientific knowledge about pollution from the waste collected in seas and on coasts; and finally, the marine economy and the link to environmental sustainability, the blue economy and productive development. 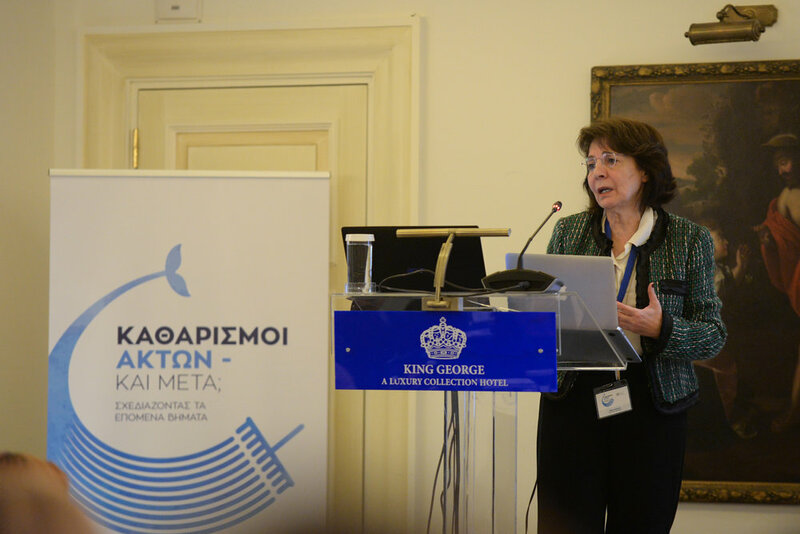 The main objective of the event, in which 85 people in total took part in, was the exchange of knowledge among organizations, the development of good practice from Greece and abroad, and a search for the ways in which cooperation can occur with the common aim of improving the situation of our seas. As mentioned, an open dialogue, the exchange of research and data during field-work, the use of common protocols and methodology, and the interconnection of all participants are the prerequisites for achieving results with durability and impact. Over the last three years, political instability in the Middle East has led a large number of citizens to flee their countries whilst seeking shelter in Europe. Greece, initially the entry point for many refugees and immigrants, gradually became their final destination - whether by choice or by force. Despite the active contribution of many organisations and the rapid mobilisation of international organisations, there are still significant problems that are being raised. 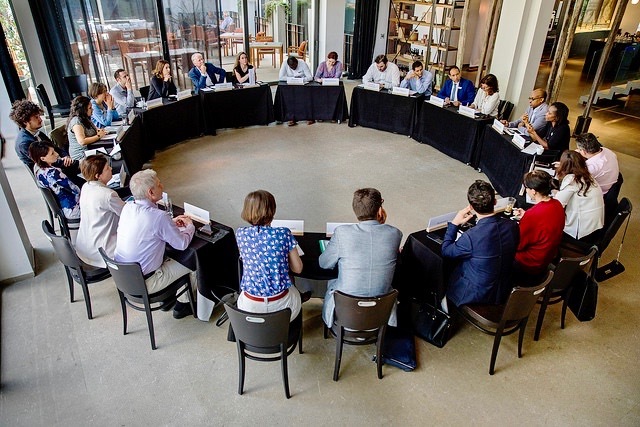 In this context, the A.C. Laskaridis Foundation organised a workshop in Athens, in collaboration with Chatham House and Dalberg International Development Group. Vitol Foundation was also a sponsor to the event. The two-day conference involved international organisations, non-governmental organisations, civil society groups and individual volunteers. It aimed to define the obstacles to providing assistance to refugees and identify ways in which stakeholders can work together to maximise the results of their individual actions. The meeting gave participants an opportunity to exchange views on the crisis, present successful models to address it, analyse best practices, and explore potential synergies. 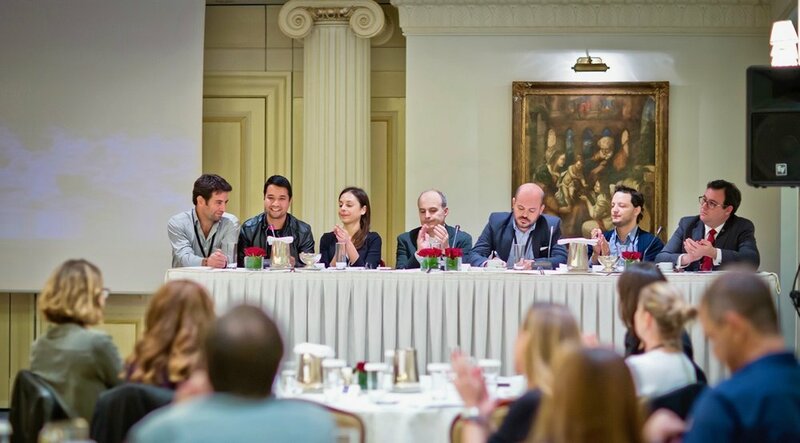 The 10th BMW Global Table was held in Athens on 8-11 June 2017, in collaboration with the A.C. Laskaridis Foundation. A total of 35 leading personalities from all over the world represented a variety of sectors (politics, government, science, think tanks, etc.). Its’ objectives were to promote discussion on issues of global concern; explore ways of reintegrating the most disadvantaged members of society; create new structures for cooperation between local, national and global actors; and enhance civic participation in politics and society.